Exclusive! The old adage, "you're as young as you feel" has never been more true! 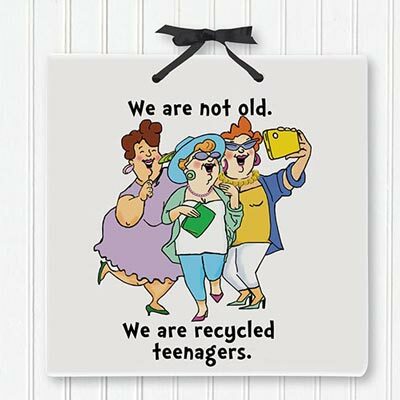 Share the sentiment with pals near and far with this funny ceramic "Teenagers" friendship plaque. Ready to hang with a shimmering polyester satin ribbon. Imported. 6"sq.